Please humor me, and read the title of this post in your best Frank (from Father of the Bride) voice impression ever. OK then. Moving on. Last night my close friends threw me a baby sprinkle for Connor. I didn't really want a super big shower because, well, I am having another boy, and I don't need that much. 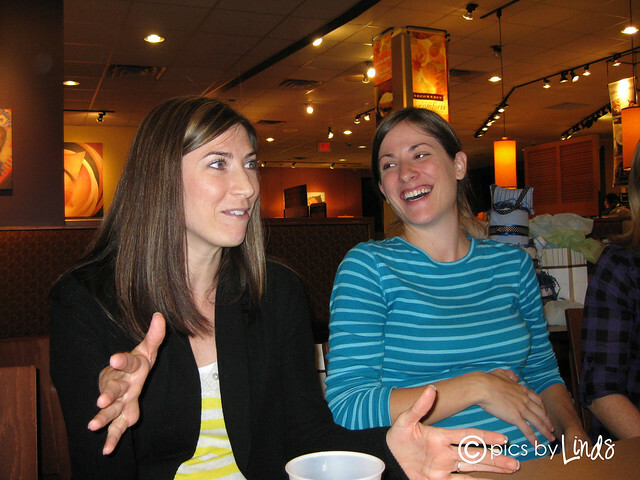 I just wanted a fun girls night where we could all hang out without our kids, and where they could sprinkle me with love and a few necessities. So we all met up at Panera bread, ate dinner and opened gifts! It was SO much fun and such a relaxing shower. 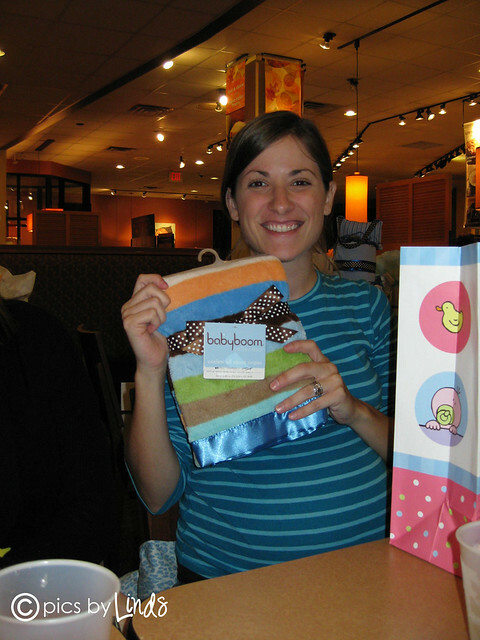 A lot of times I feel like baby showers are made up so much that people forget about WHY we are throwing the shower to begin with; we're celebrating new life! We prayed, we laughed, we ate and we ooohh'ed over new diapers :) haha. My friend Samantha had seen my post about the infant hats on etsy, and she made them for me by just looking at the pictures! 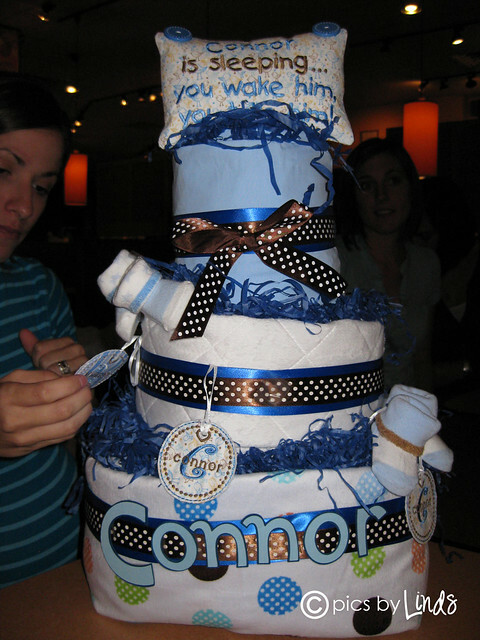 Sadly I didn't get pictures, so you'll have to wait till they grace Connor's sweet little head. And my friend Rachel got an adorable little Christmas outfit for C-man, which is perfect since I haven't been able to find anything I've liked yet. It says "Santa Baby" on the onesie, has matching striped pants and matching socks. SO adorable! Can't wait to dress him up! I got tons of diapers, a few giftcards and lots of diaper rash cream! I also got a few blankets I had registered for, since Brayden is attached to the 2 fleece blankets he had when he was a newborn.